Who doesn’t know what that is? 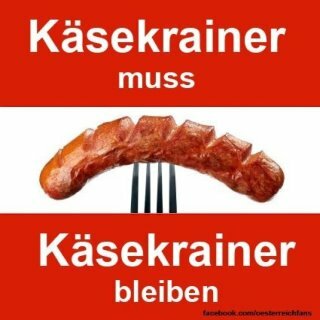 A Kaesekrainer! A Eitrige mit an Buckel! A very delicious cheese sausage, which can be messy at times (...if you’re not careful biting into it and the cheese jerks out! haha). 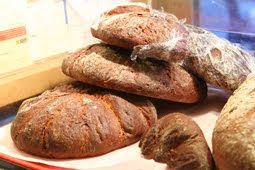 Never heard or worse tasted it? 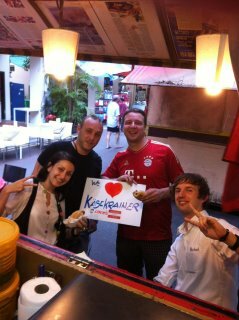 You better get to Erich’s Wuerstelstand, NOW!! 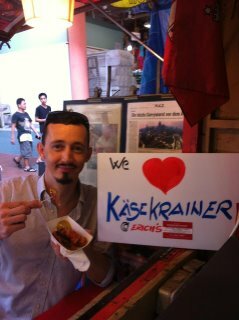 Erich sells the best Kaesekrainer outside Austria and he will tell you all about it. 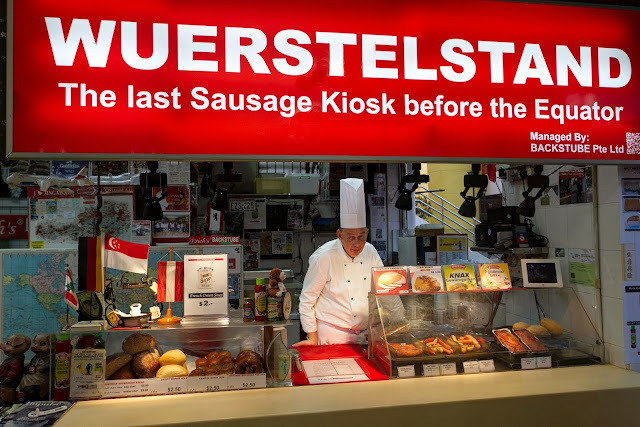 Austria and Slovenia face international court over sausages!!! 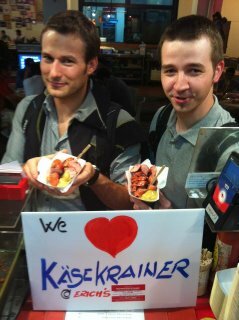 Slovenia wants the Krainer sausage to be given special protected EU status, similar to champagne, Parmesan and Cornish Pastry. They claim that the minced pork sausage was invented in northern Slovenia in the 19th Century. 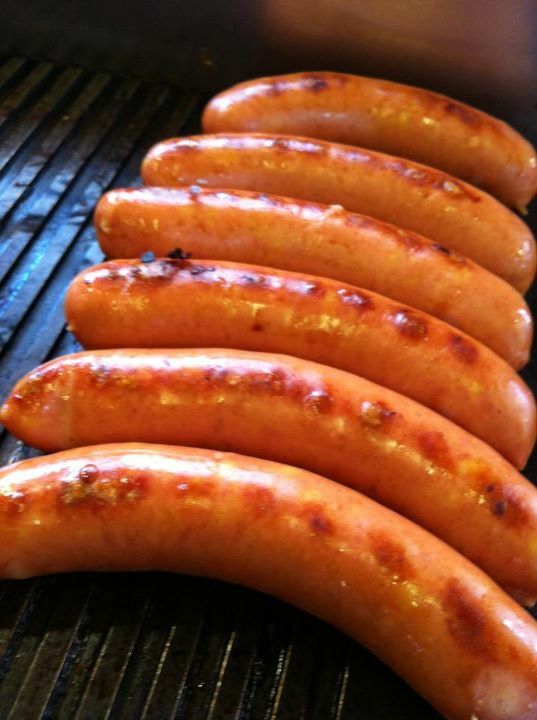 But Slovenia’s plans have upset Austria, because we believe this sausage is our own. 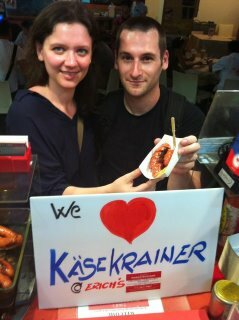 Our cheese-filled variation of the sausage, the Kaesekrainer, is one of the Austrians most popular sausages. 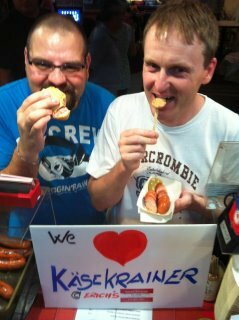 Tourists and visitors love and associate this sausage with Austria not Slovenia! 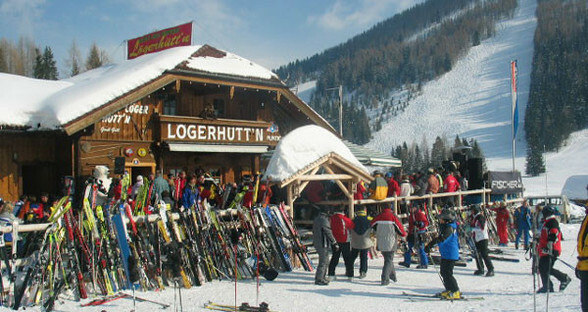 Slovenia is applying to the European Commsion for Protected Georaphical Indication status, because of the meat’s connection to the Kranjska region (which was part of the Austrian- Hungarian Monarchy as mentioned before). 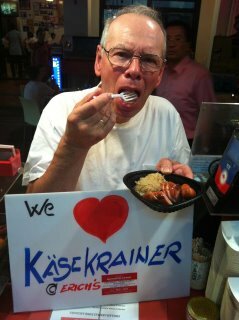 If you want to show your appreciation of the Kaesekrainer and support Erich’s “Kaeskrainer war", please come to Erich’s and have him take a picture! Here’s a film shot by Kees Renard with a 8mm camera in 1962. It shows the Post headquarters now “The Fullerton Hotel”, an already very busy Boat Quay, with merchants though and not tourists!